September 22 has been designated International Hobbit Day to mark The birthdays of the hobbits Bilbo and Frodo Baggins, in 2890 and 2968 respectively of the Third Age (1290 and 1368 respectively in Shire-Reckoning.) It is part of Tolkien Week. Which also celebrates the anniversary of the publishing of the Hobbit by J.R.R. Tolkien which was published 21 September 1937. 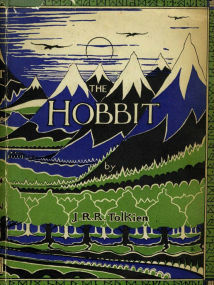 Although Tolkien himself never expected his stories to become so popular, “The Hobbit” came to the attention of publishers George Allen & Unwin and they persuaded him to publish it. it went on to attract adult readers as well as children, and became popular enough for the publishers to ask Tolkien to produce a sequel. The Hobbit ay is perhaps the oldest running day celebrated by fans. Hobbits, are typically between two and four feet tall and are nothing like your usual ‘hero’, but nonetheless manage to accomplish great feats and amazing acts of courage During The Hobbit and Lord of the Rings. It is in honour of these creatures and those acts that the day is celebrated with events not unlike the birthday party described in the beginning of “The Fellowship of the Ring”.In the United States Hobbit Day has gained some measure of legal dignity due to the elected officials who support the day and the goals of the American Tolkien Society. The Day has also attracted Bipartisan Support from places as the U.S. County Courthouse, to the White House, to the U.S. Capitol. Fans celebrate by anything from going barefoot all day and having seven meals, to Literary discussions and readings, Lord Of The Rings Movie Marathons, and throwing parties in honour of the ‘Long Awaited Party’ at the start of the Fellowship Of The Ring with events such as feasts, games, costumes and fireworks. Director Peter Jackson’s turned The Hobbit into an exciting film trilogy, starring Martin Freeman as Bilbo, Sir Ian Mckellen as Gandalf, Sylvester McCoy as Radagast, Richard Armitage as Thorin Oakenshield, Hugo Weaving as Elrond, Cate Blanchett as Galadriel and Barry Humphies as The Goblin King. They have expanded the story by including some of the related material in the appendices of The Lord of the Rings and Unfinished Tales, in order to tell more of the tale of Bilbo Baggins, the Dwarves of Erebor, the rise of the Necromancer and the Battle of Dol Guldur. However Some worried that while The Lord of the Rings which consisted of three parts totalling 1,008 pages could be adapted into three separate films, The Hobbit, is only 310 pages long and may require rewriting and the addition of new scenes and characters in order to stretch it over three films. Howard Shore did the Theme Music, and Alan Lee’s Concept art was used as well. In the late 1970s, King began what became a series of interconnected stories about a lone gunslinger, Roland, who pursues the “Man in Black” in an alternate-reality universe that is a cross between J. R. R. Tolkien’s Middle-earth and the American Wild West as depicted by Clint Eastwood and Sergio Leone in their spaghetti Westerns. The first of these stories, The Dark Tower: The Gunslinger, was initially published in five installments by The Magazine of Fantasy & Science Fiction from 1977 to 1981. The Gunslinger was continued as an eight-book epic series called The Dark Tower, which books King wrote and published infrequently over four decades ]In 1987, King released the second installment, The Dark Tower II: The Drawing of the Three, in which Roland draws three people from 20th-century United States into his world through magical doors. A hardcover limited edition of the revised version of The Gunslinger along with a prequel story set in the Dark Tower world called “The Little Sisters of Eluria” was also published (which was originally published in 1998 in the collection Legends: Short Novels by the Masters of Modern Fantasy) in 2009. In October 2005, King signed a deal with Marvel Comics to publish a seven-issue limited series spin-off of the series called The Gunslinger Born. The series, which focuses on a young Roland Deschain, was plotted by Robin Furth, with dialogue by Peter David, and illustrated by Eisner Award-winning artist Jae Lee. The first issue was published on February 7, 2007, and King, David, Lee, and Marvel Editor-in-Chief Joe Quesada appeared at a midnight signing at a Times Square, New York comic book store to promote it. The work had sold over 200,000 copies by March 2007. The success of The Gunslinger Born led to an ongoing miniseries published by Marvel, with Furth and David continuing to collaborate, featuring both adapted material from the Dark Tower books and new material approved by King; it also led to a second series of King adaptations in the same format, serializing the events of The Stand. In 2008, King published both a novel, Duma Key, and a collection, Just After Sunset. The latter featured 13 short stories, including a novella, N., which was later released as a serialized animated series And adopted into a limited comic book series. In 2010 King published a collection of four previously unpublished novellas called Full Dark, No Stars, an original novella called Blockade Billy, and A monthly comic book series called American Vampire, written by King with short-story writer Scott Snyder, and illustrated by Rafael Albuquerque. In it King wrote the background history of the very first American vampire, Skinner Sweet, and Scott Snyder wrote the story of Pearl. King’s next novel, 11/22/63, was published November 8, 2011, and was nominated for the 2012 World Fantasy Award Best Novel. The eighth Dark Tower volume, The Wind Through the Keyhole, was published in 2012. King’s next book is Joyland, a novel about “an amusement-park serial killer”, was, published on April 8, 2012, followed by the sequel to The Shining (1977), titled Doctor Sleep, published September 2013. His novel Under the Dome has also been adapted for television. English author, Herbert George “H. G.” Wells was born 21st September 1866 in Bromley, Kent. He is best known for his work in the science fiction genre but also wrote contemporary novels about, history, politics and social commentary, as well as textbooks and rules for war games. Together with Jules Verne and Hugo Gernsback, Wells has been referred to as “The Father of Science Fiction”. His most notable science fiction works include The War of the Worlds, The Time Machine, The Invisible Man and The Island of Doctor Moreau & his earliest specialised training was in biology, and his thinking on ethical matters took place in a specifically and fundamentally Darwinian context. During his final years he began to be particularly outspoken in his criticism of the Catholic Church, he was also a diabetic, and in 1934 co-founded what is now Diabetes UK, the leading charity for people living with diabetes in the UK. 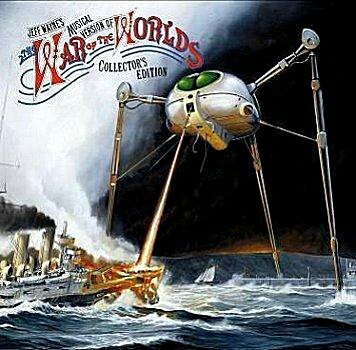 On 28 October 1940 Wells was interviewed by Orson Welles, who two years previously had performed an infamous radio adaptation of The War of the Worlds, on KTSA radio in San Antonio, Texas. In the interview, Wells admitted his surprise at the widespread panic that resulted from the broadcast, but acknowledged his debt to Welles for increasing sales of one of his “more obscure” titles. Wells sadly passed away on 13 August 1946 at his home in London, aged 79. In his preface to the 1941 edition of The War in the Air, Wells had stated that his epitaph should be: “I told you so. You damned fools”. He was cremated at Golders Green Crematorium on 16 August 1946, his ashes scattered at sea. A commemorative blue plaque in his honour was installed at his home in Regent’s Park.